The research activities of the group are mainly based on chemometrics and/or computational chemistry methods. This implies the use of a large number of modeling tools : theoretical physics calculations, multivariate statistical analyses and Design of Experiments (DOE). Specific algorithms are built to answer targeted problems. In the theoretical chemistry area, we develop fundamental aspects of Density Functional Theory (DFT), such as the development and implementation of new exchange correlation Functional. 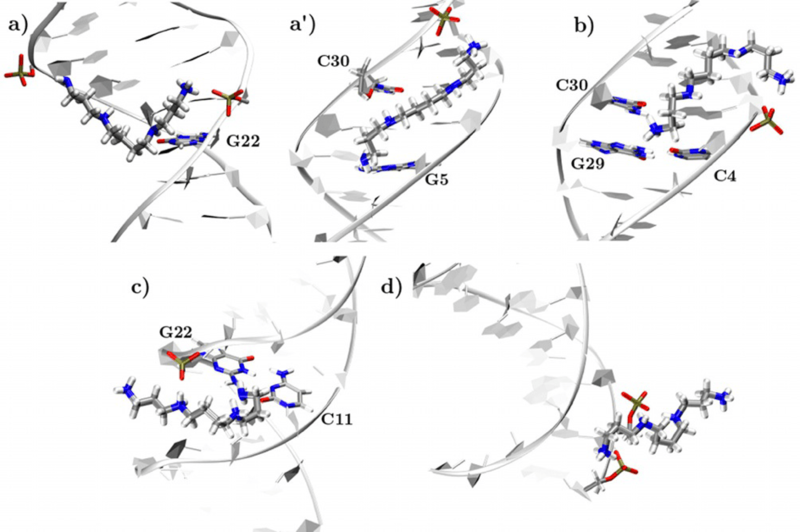 We also design new quantum based indexes to better characterize chemical reactivity and selectivity (modeling of organic layers for photovoltaic, development of Quantitative Structure-Activity Relationships (QSAR), DNA structure degradation and metabonomic data analysis). We apply quantum methods to simulate chemical processes aiming to improve the performance of analytical techniques. In the formulation area, we also are interested in the problem of solvent substitution in a regulatory context increasingly strict. A new methodology based on a solvent database and chemometrics tools was developed to identify potentially interesting solvents.